Each month this summer, we’re featuring one of the four North Carolina State Parks closest to the Inn on Mill Creek, and August is reserved for a guest favorite: Grandfather Mountain. Let’s learn a little bit about this special place. Imagine inheriting a mountain. What would you do with it? It’s fascinating to us that a lot of the mountains in western North Carolina were privately owned at different points in time, and the same is true of Grandfather Mountain. In the late 1800s, the Linville Improvement Company, led by Donald MacRae, acquired the rights to 16,000 acres in the Linville River Valley, which included Grandfather Mountain. In 1952, Donald’s great-grandson, Huge MacRae Morton, became the sole owner of the Grandfather Mountain when the Linville Improvement Company dissolved. Hugh Morton was about 31 years old at the time. An avid photographer, as well as a conservationist, he spent the next five decades of his life on a mission to preserve and protect the mountain, while at the same time, making it possible for visitors to continue enjoying the mountain’s scenery and beauty. 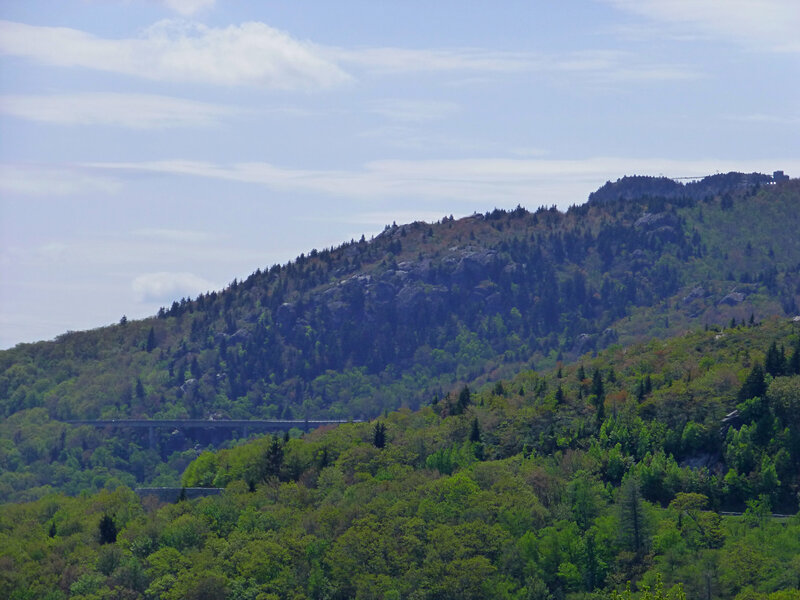 One of Huge Morton’s first projects was to make Grandfather Mountain more accessible to visitors by extending the existing road all the way to the summit of Grandfather Mountain and having a footbridge constructed at the top that linked two of Grandfather Mountain’s peaks. Known as the “Mile-High Swinging Bridge” for its height (exactly one mile above sea level) and the fact that it sometimes sways during windy days, the 228-foot suspension bridge is one of the mountain’s best-known features. 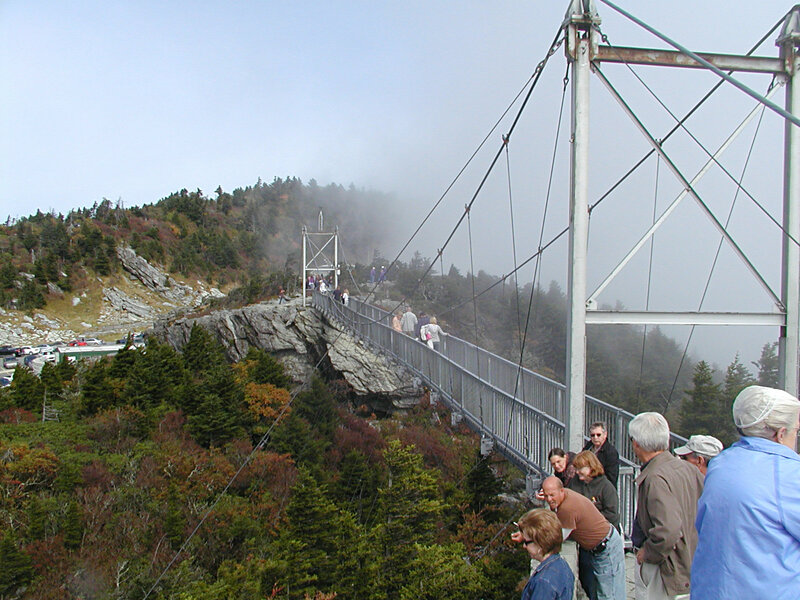 The Mile High Swinging Bridge at Grandfather Mountain…sometimes, you’ll be in the clouds! In the early 1970s, the first wildlife habitat was established at Grandfather Mountain, to be a home for Mildred, the black bear that Huge Morton had purchased to be released back into the wild but who didn’t want to go back into the wild. Life on Grandfather Mountain was good, it seems! The wildlife habitat area today is home to several different animals. Morton and his team at Grandfather Mountain endeavored to preserve the mountain and they partnered with the Nature Conservancy beginning in 1990 to protect the mountain’s undeveloped backcountry. 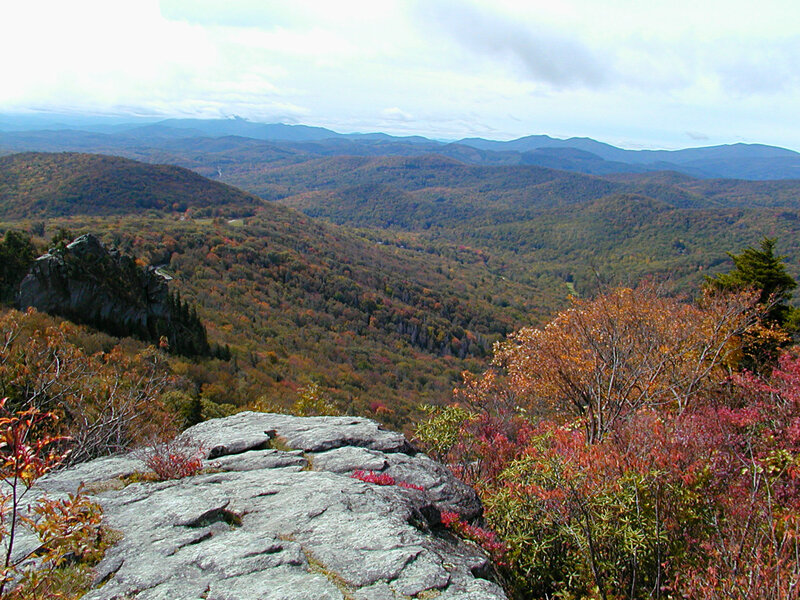 According to Grandfather Mountain’s website, the mountain is home to 16 distinct ecological communities and provides habitat for more globally rare species than any mountain east of the Rockies. Another major milestone came in 1992, when Grandfather Mountain became the first private property to receive recognition as an International Biosphere Reserve by UNESCO. 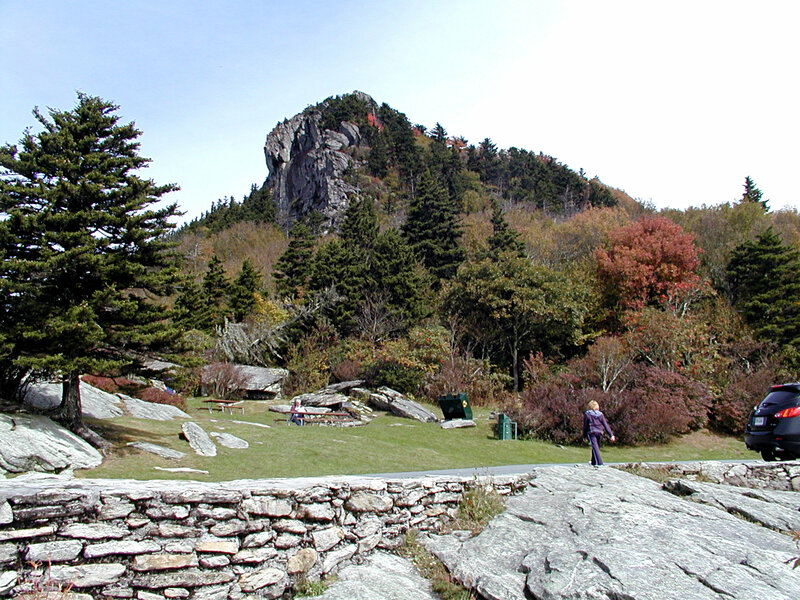 Hugh Morton passed away in 2006, but his family continued his legacy of preservation and conservation, working with the State of North Carolina to create the state’s 34th state park at Grandfather Mountain in 2009, with more than 2,500 acres of Grandfather Mountain located inside the state park. The attractions that are located on the remaining 700+ acres of Grandfather Mountain, including the Mile High Swinging Bridge and the picnic area on the lower section of the mountain, are managed by a non-profit, the Grandfather Mountain Stewardship Foundation. The Foundation also plays an important role in protecting and maintaining the state park side of the mountain. 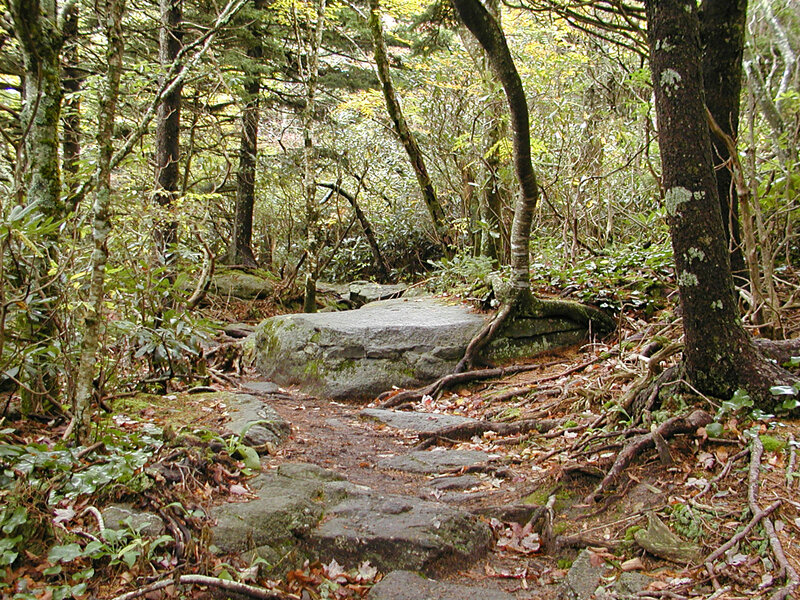 You’ll find no shortage of great hiking trails at Grandfather Mountain, with the more challenging trails located in the backcountry and others on the attraction side. One of our favorites on the attraction side of the mountain is the Black Rock Trail, a two-mile out-and-back rocky trail that takes you through beautiful forested land. Great for birding. 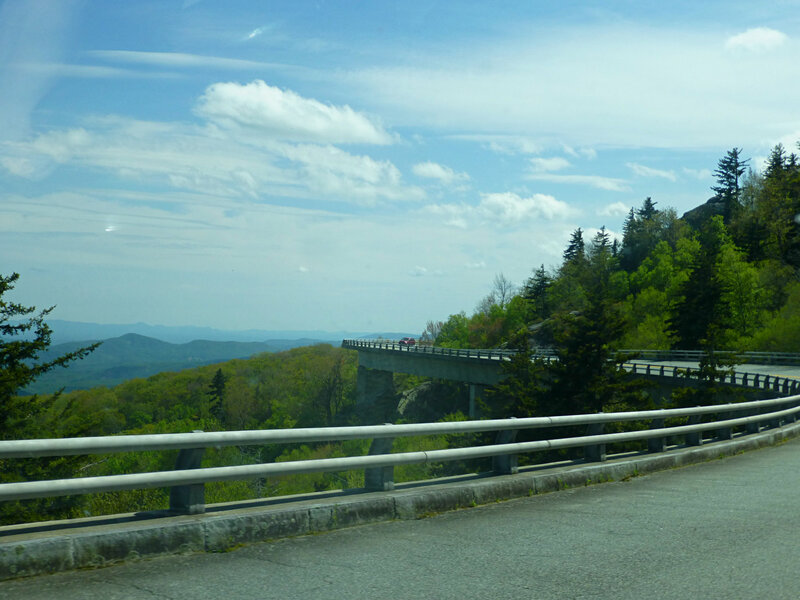 When you travel to Grandfather Mountain from the Inn on Mill Creek (about a 45-minute drive via US Hwy 221 North and the Blue Ridge Parkway), we recommend driving past the mountain first on the Blue Ridge Parkway. This will take you along a section of the Parkway called the Linn Cove Viaduct. When the Blue Ridge Parkway was being planned, there was quite a bit of discussion about how to get the road around the rugged boulders of Grandfather Mountain. What resulted was the Linn Cove Viaduct, a curvy bridge around the mountain that really makes you feel like you are driving on the edge of the earth. It’s hard to describe, but it’s amazing. Just like Grandfather Mountain. This entry was posted in Hiking and Waterfall Trails and tagged Blue Ridge Parkway, festivals and special events, Grandfather Mountain, hiking, outdoors, Summer by Inn on Mill Creek. Bookmark the permalink.